Europe is accelerating its energy transition. In the slipstream of introducing renewables on the supply-side and electrification on the demand-side, grid-stability and matching of demand-supply will be the big challenge of the energy transition. What are our options? Given the rise in popularity of Li-Ion batteries in the mobility industry, such batteries are considered a solution for short-term offsets for minutes or hours. But longer mismatches for days or weeks are just around the corner. Price-volatility can be seen as a threat, but also as an opportunity. A great example is an an old invention from the 19th century: Pumped-hydro - as some say, the most beautiful battery in the world. One example is the Mooserboden in Austria. This project might become financially viable again to receive a second-life investment, being both a green storage solution and grid-balancer at the same time. What does it take to upgrade those capex-intensive projects that produce electricity and help reduce demand-supply-offsets? 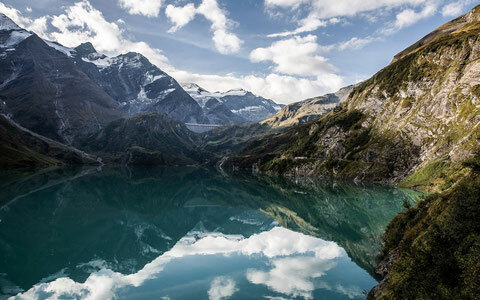 Read more about the Mooserboden project in Kaprun, Austria, where a hydroplant built almost 100 years ago might get a second life to do three things: Produce electricity, bridge demand-supply-offset and stabilise the grid.